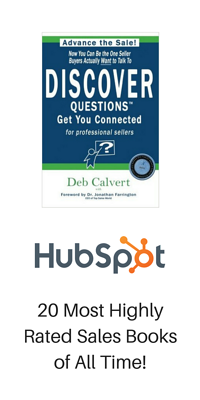 You've Come to the Right Place for Sales Professional Growth! Which Quality Do Entrepreneurs, Salespeople, & Business Leaders Share? An Excerpt from Deb's New best Seller, "Stop Selling and Start Leading"
I’m Up for Top Sales Post of the Year! If You “Stop Selling and Start Leading” Good Things Will Happen!